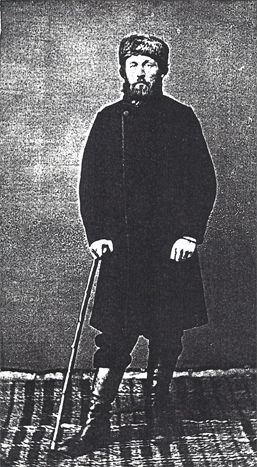 Carl Adolph Ludwig Lagergren (1830-1893) was born in 1830, the son of Nils (1773-1835), BA dean at Winnersta and Motala, married to Maria Catharina Stockhaus (1787-1859). Carl owned a farm at Tengsta, Stigtomta, in the county of Sodermanland, Sweden, near the city of Nykoping. In 1850 he travelled to America with his older brother Gustaf (1820 - 1855), an engineer, and a relative named Hertzman. His brother was said to have been murdered in New York. Carl and Hertzman then went to Australia where they prospected for gold. In a book published in 1888 in Stockholm he described the trip to New York. When he arrived in Melbourne he camped during the night in a tent. His first work in Australia comprised stone breaking and roofing. He worked with some Danes in St Kilda and a fellow named Gillespie from Ireland. He wrote that he stayed in Melbourne and worked to earn capital for his trip to the goldfields. After moving around a little he bought a boat "Tagge" and went to Snapper Point. Here he had a hut and undertook wood cutting, taking the wood to Williamstown. Their boat ran aground, but it was not a disaster. Their spare time activities were parrot and kangaroo hunting. Lagergen had a contract to deliver wood to the government, however the boat overturned in Hobson's Bay. They gave up wood cutting and left the district to go to the goldmines. 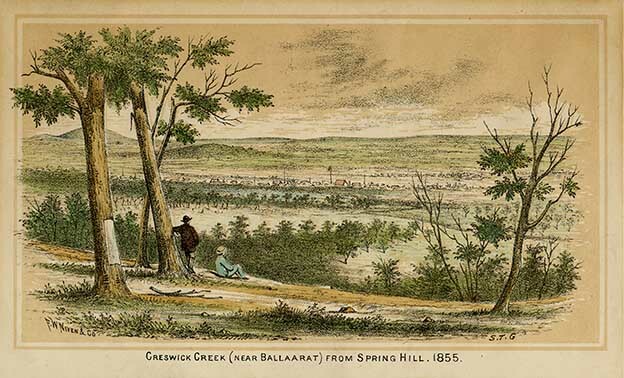 In his book he describes the way to the diggings, Deep Creek, and his impressions of the Colony of Victoria and his arrival at Creswick's Creek. He discusses hotels, theatres and Lola Montez. He parted from his companions at Jim Crow Diggings and went to Bald Hills. He went then to Brown Hill but did not make much money. He left Brown Hill after 1854 for Dunolly where he was on Christmas Eve 18 .... From Dunolly he moved to McIvor Diggings near Heathcote, Victoria. He writes of his arrival at Caledonian Reef, and his companions, as well as a description of Aborigines. From here he moves again to the Bendigo goldfields, before going to Creswick and Slatey Creek. When Carl returned to Sweden he married Nanny Saaf (born 1843) in 1868. They had a daughter who died as a child (1869-75). They looked after a girl called Sally as their foster child. She never married. In 1887 the family moved to Stockholm and there Carl Lagergren was active in a charity organisation until his death. Carl Lagergren was known as a pleasant person with a warm heart and had through his travels broadened his mind. His wife, Nanny, was a spiritualist and wrote a book about this "Vid gryningen till en ny tid. Fudskap fran den hoga and evarlden emottagna av Nanny Lagergren" which was published after her death in 1925 in Stockholm. This page was last edited on 2 November 2018, at 06:15.